Photos: College of the Rockies’ new trades building will be named Patterson Hall, in honour of James Patterson, whose vision for trades training and post-secondary education in the East Kootenays led to the opening of College of the Rockies more than 40 years ago. College of the Rockies’ new trades training facility will be named in honour of College founder – James Patterson – and his legacy of trades training and post-secondary education in the region. 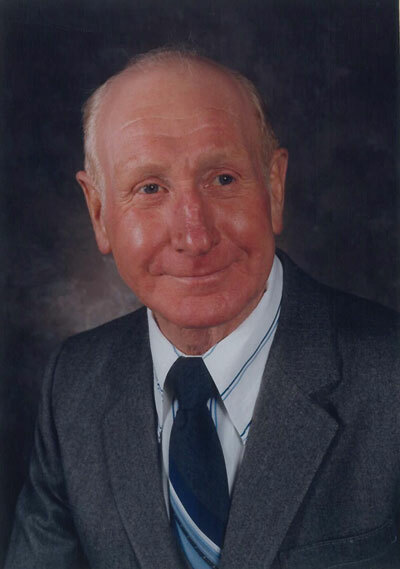 Patterson was a local miner and school board member, whose vision for a vocational school in the East Kootenays led to the opening of College of the Rockies more than 40 years ago. His phone call to a government official in 1971 started the ball rolling on what would become East Kootenay Community College and, eventually, College of the Rockies. The College opened its doors to students in October 1975, with Patterson sitting as Chair of the Board of Governors. Thanks to the hard work and vision of Patterson and others, College of the Rockies now delivers post-secondary education to more than 10,000 learners per year. With a main Campus in Cranbrook and five regional campuses in Golden, Invermere, Fernie, Kimberley and Creston, students from across the region can gain the skills they need for employment while staying in their local communities. Patterson Hall will house the Industrial Mechanic (Millwright) and Electrical programs and provide work space for interdisciplinary collaboration and innovation. The state-of-the-art new building includes an electrical concepts lab, where students will use computer technology to learn about basic concepts in a “virtual lab”. It will also feature a two-story mock house where students can practice hands-on learning. Patterson passed away in 1999, but his three daughters continue to live in the area that he worked so hard to support. Staff and students were involved in the naming of the trades building. Through a College-wide ‘Name the Building’ contest, University Studies student Matthew Lavery provided the winning entry. Funding for the trades building was provided by the Province of B.C., the Government of Canada, Teck, Columbia Basin Trust and College of the Rockies. A grand opening of Patterson Hall will take place in August. Read more about James Patterson’s role in establishing College of the Rockies. Watch a video about the naming of the building.